The backs of tally cards. Photo courtesy of Rubylane. Today when we sit down to play a game we simply grab a piece of scrap paper or even use a digital note pad device on our smartphones to keep score. Effective, but not as glamorous as what I am about to show you. In the first half of the 20th century, Bridge players had a more elegant way to keep score: Tally Cards. These cards were die-cut cards that came in sets (you can actually find some unused sets today that range from $20 and up - depending on style, amount, maker, etc). The cards would have a beautiful image on the front, a way to mark the score on the back (see image above), and a tassel. They came in every shape and color, and were around three to four inches in height. 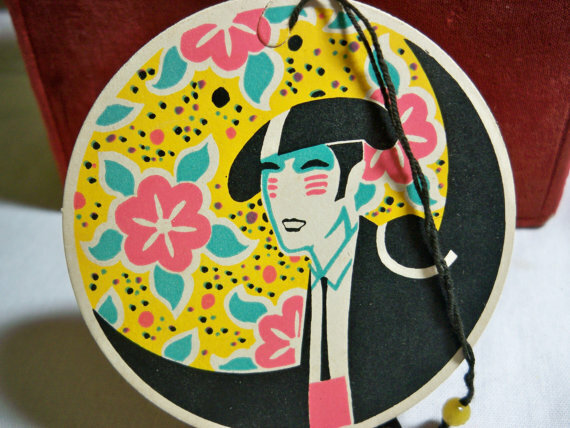 They were often made by greeting card companies, such as Buzza and Hallmark. 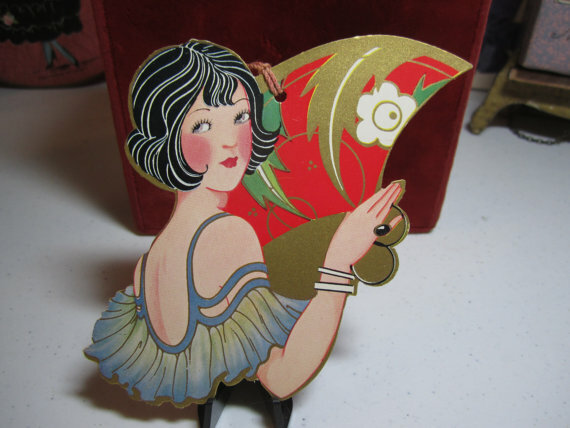 The cards depict holiday themes, special occasions such as birthdays and weddings, feature flappers or cute animals. 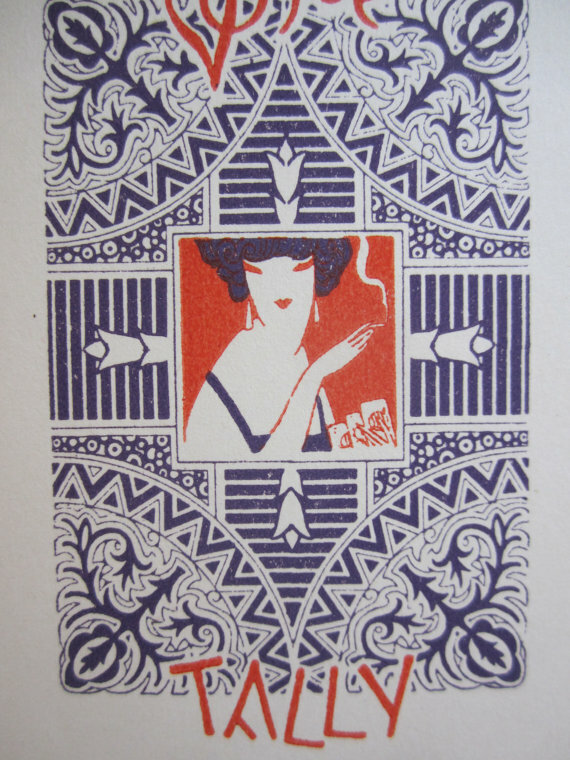 I, myself, am partial to the Art Deco period of tally cards, in particular the flapper or starlet depictions. There are a handful of shops selling them, but after my search to select my favorites, I have determined that Puffadonna on Etsy has the most variety (please note I do not have any relation with this shop, I truly just did my research). They have a variety of subjects and design, plus a good deal at the affordable range of $7 to $9 each. However, those looking to become serious collectors will find items in the $20 and up range and as mentioned above complete unused sets. Here are some of my favorites I found on eBay and Etsy (much of course are from Puffadonna) and selected to share with you. I hope you find them as enchanting as me. They actually inspire me to try my hand at Bridge. What about you?